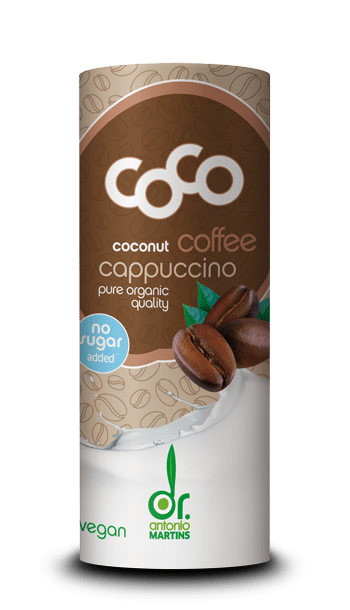 Your coco cappuccino with organic coconut milk – 100% vegan. *Everything from controlled organic farming. And for more creaminess: some pectin and xanthan from plants. Do you love aromatic coffee? With lots of milk? 100% vegan? With a hint of coconut? Do you appreciate innovative packaging made of responsibly produced raw materials? Then here comes your special cappuccino: With fine coconut milk and flavour-rich coffee. Made of Arabica beans. Organic quality from carefully selected plantations. Guaranteed GMO-free. All you have to do now? Shake well and drink – at home or on the move! 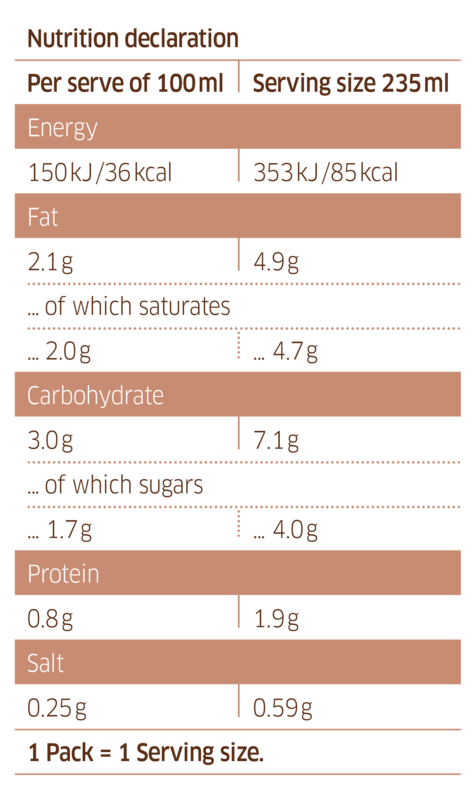 Ingredients: coconut juice from coconut juice concentrate* (62%), light coconut milk* (22%), coffee preparation* (16%, water, instant coffee*), acidity regulator calcium carbonate, salt, thickener: pectine, xanthan.